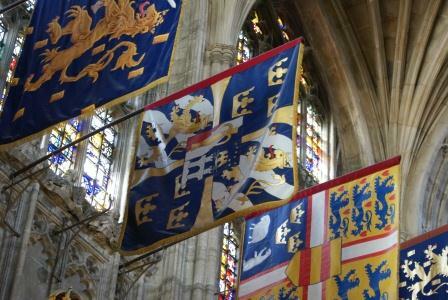 St George’s Chapel is the home of the Order of the Garter which is the highest and oldest order of chivalry in the country. 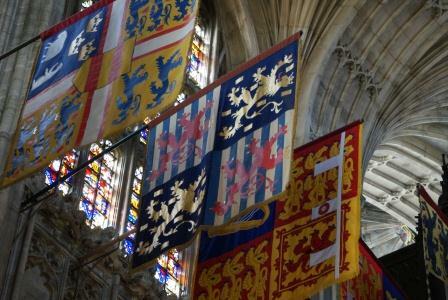 Amongst the members of the Order are seven Royal Heads of State from other countries. 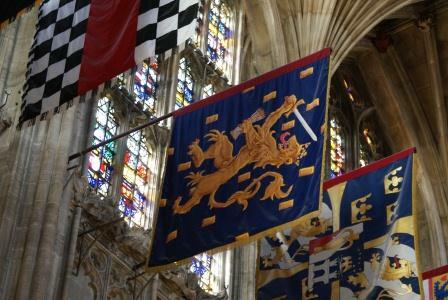 They are known as ‘Stranger Knights’; athletes from some of their countries will be competing in the Olympic Rowing, Olympic Canoeing and Paralympic Rowing at Eton Dorney, very close to Windsor Castle, over the next few weeks. 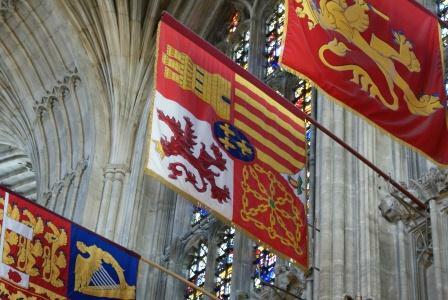 Although there are connections with many other countries in St George’s Chapel and many other nations competing at Eton Dorney this short article lists the 7 Stranger Knights together with some Olympic and Paralympic links. Throughout the Olympics and Paralympics Services in St George’s continue on a daily basis. 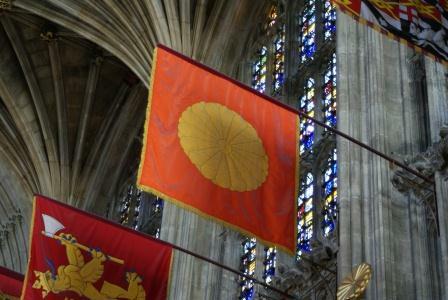 You are welcome to attend any of the three or four services open to all each day. Queen Margrethe II of Denmark has been a member of the Order of the Garter since 1979. 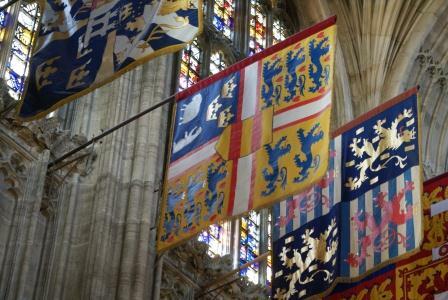 Her Garter banner hangs on the south side of the Quire of St George’s Chapel. Not far away are the Garter stall plates of some of Queen Margrethe’s predecessors including Christian IX. His daughter, Alexandra, married the future King Edward VII in St George’s Chapel and now lies buried with him near the High Altar. Athletes from Denmark are competing in the Olympic Rowing and Olympic Canoe Sprint this year. Princess Nathalie of Sayn-Wittgenstein-Berleburg (Queen Margrethe’s niece) was a member of the Danish dressage team in the 2008 Summer Olympics and was awarded a Bronze medal. Emperor Akihito has been a member of the Order of the Garter since 1998. Athletes from Japan will be competing in all three disciplines at Eton Dorney this year ie Olympic Rowing, Olympic Canoe Sprint and Paralympic Rowing. Grand Duke Jean has been a member of the Order of the Garter since 1972. Queen Beatrix of the Netherlands has been a member of the Order of the Garter since 1989. Athletes from The Netherlands will compete in the Olympic Rowing at Eton Dorney this year. King Harald V became a Garter Knight in 2001. He competed for Norway as part of his country’s sailing team in three Olympics; 1964 (when he also carried the Norwegian flag at the opening ceremony), 1968 and 1972. King Harald’s father, King Olav V, won a gold medal in sailing at the 1928 Olympics. Norway will be represented by a Rowing team at Eton Dorney during the Olympics. 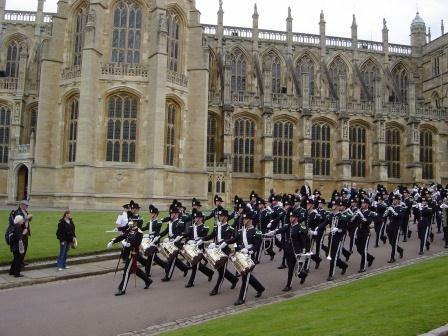 In 2010 The King’s Guard visited Windsor; the photograph shows the band marching past St George’s Chapel. King Juan Carlos became a Garter Knight in 1988. He competed in sailing at the 1972 Olympics. Queen Sofia was a reserve for her native Greece in the 1960 Olympics, also in sailing. Their son, Felipe, Prince of Asturias, also competed in sailing. His participation came in 1992. Prince Felipe’s sister, the Infanta Cristina, participated in the 1988 Olympics in sailing. Athletes from Spain will compete at Eton Dorney in the Olympic Canoe Sprint and Paralympic Rowing. 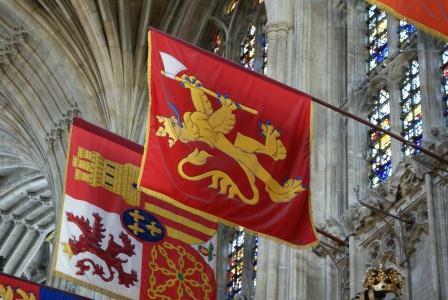 One detail that can be spotted in the King of Spain’s banner is a pomegranate; the pomegranate was used as a heraldic badge by, amongst others, Catherine of Aragon, first wife of King Henry VIII. 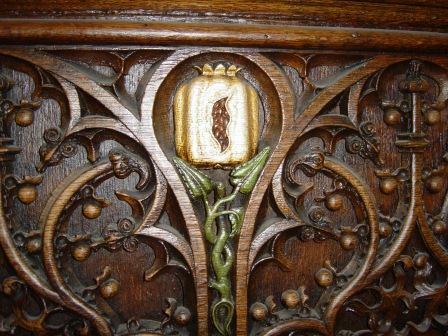 Pomegranates can be seen in St George’s Chapel on the Tudor wooden oriel window overlooking the high altar and amongst the roof bosses. King Carl Gustav has been a member of the Order of the Garter since 1983. 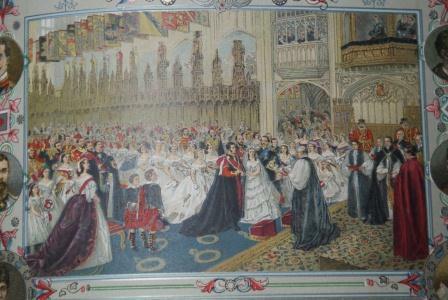 Princess Margaret of Connaught married the future Gustavus VI Adolf (the present King’s grandfather) in St George’s Chapel in June 1905. Athletes from Sweden will compete in the Olympic Rowing and Canoe Sprint at Eton Dorney.